With the ever-increasing proliferation of “smart” technology throughout our society, the thought of a robot uprising remains fixed in the back of our minds. Since the introduction of the concept of robots decades ago, humans have feared their uprising to usurp us as the dominant sentient beings on our planet. Now, as we rely on our computers, smartphones, and connected devices to help run our lives, the threat of a full-on apocalypse resulting from their sentience seems more possible than ever. 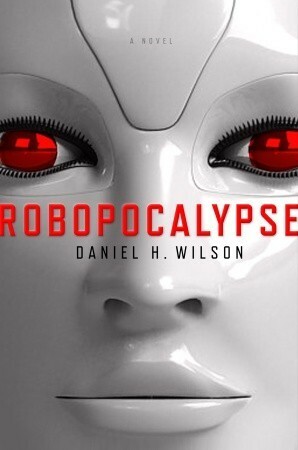 Author Daniel H. Wilson has certainly done his research on the “what if” scenario of a robot apocalypse (or the titular Robopocalypse, if you will). He manages to build the progression of a robot-themed doomsday scenario from the machines we know and use today. Many of the machines’ decisions and strategic moves mostly make sense. That being said, I did have a few issues with the book and its structure. First off, the format of the book was remarkably similar to its zombie predecessor, World War Z. Secondly, the fact that it’s told through only a handful of characters helps to tie each piece together, but the fact that these characters are all connected to each other makes it less believable. When it came right down to it, I had trouble connecting with these characters. In the earlier sections, it was a little easier to understand what was happening, but once the landscape of the robot war changed into one where the robots were winning; it was hard to grasp what was going on in a global sense. As it is, Robopocalypse is essentially a series of short stories with some familiar characters tying it together. A semi-realistic look at a potential robot uprising with an already-used apocalyptic narrative format, I give Robopocalypse 3.0 stars out of 5.